The world is more global and digitalised than ever before. As organisations expand globally, business leaders must consider the logistics of payroll and the changes that will need to take place—including mobility, flexibility and the use of technology. Expanding internationally can bring various challenges to HR and payroll departments, as each region has tailored laws and regulations regarding payroll, and there is a large difference between the amount of technology employees use in their personal lives and their work lives. So, what should an organisation consider if it is expanding into new countries or regions? Choosing to outsource payroll from a global payroll provider can reduce the complications and strain on both business leaders and the HR department, and can provide the cutting-edge technology that is available in the industry, alongside providing a global view of payroll. 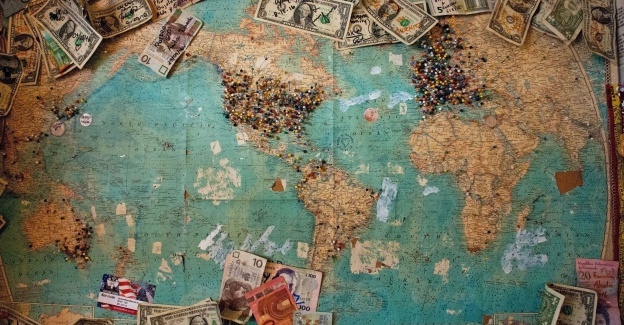 Here are five advantages of outsourcing payroll when going global. Global or international payroll is not a one-size-fits all solution; it is a centralised department within a business. Global payroll should incorporate both global and local market capabilities, although there is often the misunderstanding that global has nothing to do with local. However, without local knowledge and an understanding of the legislations of different regions, a global payroll model is unable to be successful. Working with an outsourced payroll provider will ensure that the organisation strikes the right balance between both global and local payroll. For example, an outsourced payroll provider will help the business to become compliant with all local market legislations, while also optimising the efficiency and benefits a global offering can secure. Organisations should have both a global outlook and local knowledge when it comes to payroll. As an organisation expands, its workforce scales and spreads around various regions, or even continents. While these employees are likely to be highly skilled, there is a chance that—due to sickness or holiday—some of them might not be in the office at crucial times. This might cause the HR and payroll department to become stretched, and as a consequence, issues or mistakes may occur. With offices in different countries around the world, it is important for organisational output to remain the same and to not be affected by internal changes. By outsourcing to a payroll provider, organisations can ensure nothing changes, irrespective of illness, holiday or while new staff are getting to grips with the payroll processes. Team members can also focus on their core business activities and make strategic decisions, while the outsourced provider focuses on the international payroll and helps organisations leverage their payroll data and enhance their data insights. Payroll mistakes can be costly to a business. When a company expands, it will need to focus on various tax regulations and payroll systems, rather than a single, local process. Unless the HR and payroll department has a fully trained, automated system and capable payroll staff that are familiar with global payroll processes and requirements, the payroll department is likely to make the occasional mistake. However, payroll mistakes can anger employees and cause reputational damage, alongside potential fines from the government of the country in which the company is operating. With a reputable outsourced payroll provider, organisations are much less likely to become the victim of payroll or legislative errors. Expanding internationally can be expensive for organisations, so business leaders often look to reduce costs in other areas of the business. By choosing to outsource payroll, organisations can ensure the appropriate level is paid in a lower cost location. By combining this with the savings that come from consolidation and automation in payroll, organisations will have much more control over the costs of the expansion, and can comply with local payroll legislations. When an organisation expands globally, it usually means that it is housing employee and customer personal and sensitive data around the world. Not only is it important to be in compliance with regulations like the European Union’s recently implemented GDPR, but it is also paramount that the organisation has the right security in place to fend off online attacks and breaches, while also utilising employee predictive analytics. By outsourcing payroll to a global provider, organisations can have peace of mind that the provider has industry specific technologies that can prevent online attacks and breaches from occurring. Payroll is both a core part of the business and a vital part of its global expansion—it should not be overlooked or taken for granted. International payroll can be complex and daunting, but outsourcing payroll can bring benefits to organisations around the world and allows business leaders to see the power of both payroll insights and data insights. With a reputable outsourcing provider, the company can relax in the knowledge that they are in safe hands when it comes to achieving efficient global payroll. Jean-Luc Barbier, Vice President Global Solutions at SD Worx, has 35 years’ experience in HR & payroll services, and has a background in IT as a system engineer. Over his many years in the industry, Jean-Luc has developed strong experience in HRIS at both a local and global level.